Billions of people use smartphones every day without worry. But sometimes, cell phones can turn deadly. The question is why? While the circumstances are different in each case — it might be a bad charger, faulty wiring, or poor judgement on the part of users — the risks are real. Here's a look at 4 ways cell phone electrocution can occur and how to make sure it doesn't happen to you. In December 2016, a 32-year-old British man was was found dead in the bathtub. The cause? A charging cell phone. He was resting a charging iPhone on his chest when the device made contact with the water. His injuries were severe, including burns on his chest, arms, and hand. While a cell phone looks like a harmless device, it can be deadly as a hairdryer when plugged into a charger. Consider that it only takes 7 milliamps (mA) applied for three seconds to kill a person. Add water to the mix, and you have a very risky situation indeed. Water greatly lowers your body's natural resistance to electricity, which means you're much more likely to die if you contact electricity in the bath or shower. Saltwater lowers your resistance even more. Never charge your smartphone in the bathroom or near water. Don't let extension cords or chargers come in contact with water. Never use extension cords or chargers with frayed wires. 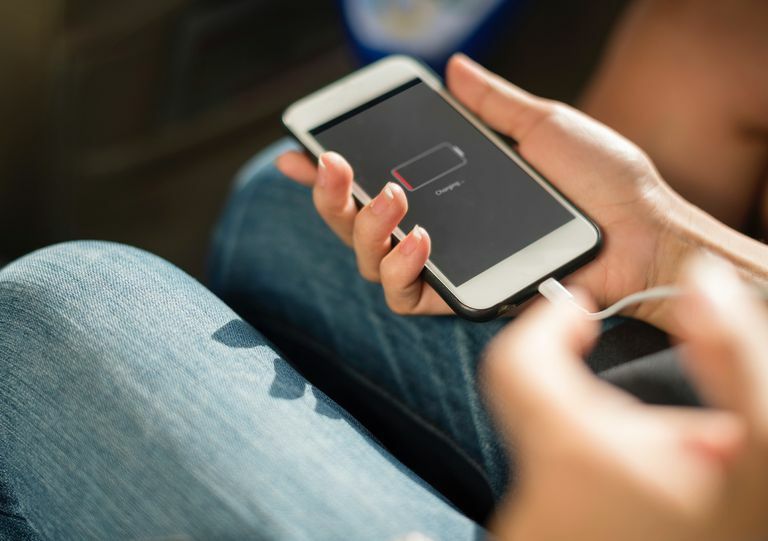 ﻿While smartphones batteries carry a low voltage — lithium ion batteries are about 3.7 volts — attaching them to a charger puts you in a direct line to the high-intensity voltage from the power socket. This can be dangerous under certain conditions, such as when there's a short circuit or power surge. A case in point: A 24-year-old factory worker in Thailand was found dead in his bedroom in 2019. His cell phone was plugged into the wall while he listed to music on his earbuds. For some unlucky reason, electricity surged into the phone, making contact with his ears. Police believe that a short circuit or a faulty charger was to blame. Don't use earbuds plugged into a charging cell phone. Always plug your cell phone charger into a surge-protected power strip when possible. The cost of replacing smartphone chargers can be enough to make your eyes water. It can be tempting to purchase a knock-off for a fraction of the price. But experts say don't do it. According to a study from the Chartered Trading Standards Institute in the UK, a whopping 98% of all fake Apple chargers failed basic safety tests. After performing several tests, it was found that only three of the 400 devices tested had enough isolation to prevent an electric shock. These are scary statistics by any measure. Only use OEM (original equipment manufacturer) chargers for your smartphone. If you suspect a charger is fake, check the manufacturer, model number, and voltage ratings on it. If you doubt a charger's authenticity, throw it out. In 2017, a girl was electrocuted by her phone charger. The 14-year-old teenager from Vietnam was charging her iPhone 6 in bed when she rolled onto a frayed cable and was electrocuted in her sleep. Tape wrapped around the cable indicates she was likely aware of the frayed cable for some time, but failed to replace it before the worst happened. Never charge your cell phone in bed. Replace faulty or frayed charging cables immediately. Don't tape them up as a band-aid measure. Don't touch frayed or damaged cables when your charger's plugged in. If all of this information has you a bit on edge, remember that the odds of cell phone electrocution is quite rare. It requires a weird mix of events to happen, which is probably why it's not very common. Still, it's a smart idea to follow these common sense precautions and stay safe.